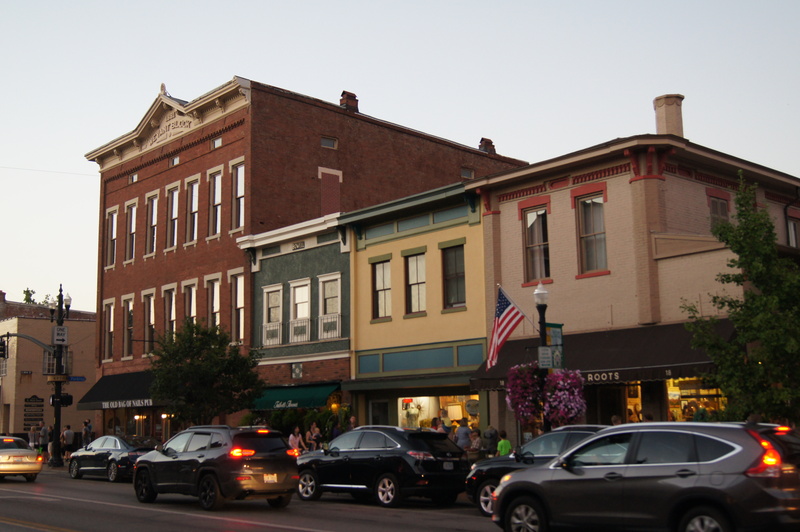 Though Westerville is home to about 37,500 people, the city government aims to maintain the historic city’s small-town charm, particularly in uptown. New: Cucinova, a pizza, pasta and salad spot with a Chipotle-style build-your-own concept, is uptown’s newest business. Earlier this year, 8 State Bistro opened in a former silent-movie theater at 8 N. State St., brining upscale American dining and valet parking to the neighborhood. Coming soon: Early next year, Columbus small-chain Northstar is set to open a restaurant location in uptown — a long-awaited neighborhood addition. Don’t miss: “One of the things that’s kind of interesting is the businesses that are experiential,” Mihaly says. Visitors can learn to brew beer at Buckeye BrewCraft, make wine at Good Vibes Winery, revive old furniture with chalk paint at Edwin Loy Home and sample small plates and wine while learning art techniques during Sip & Sketch events at Mezza Wine Shop. This entry was posted	on Monday, December 19th, 2016 at 9:42 am	and is filed under Story. You can follow any responses to this entry through the RSS 2.0 feed. Both comments and pings are currently closed.